Find the right laptop for you by following our laptop comparison buying guide written for everyone. With so many laptop choices out there you can go crazzy trying to figure it all out. Choosing the right laptop for you will depend greatly on what you need the laptop for as well as your personal preferences. For example, if your primary need for the laptop is business related, you will not need to have the power of a gaming laptop. Laptop prices differ greatly depending on the features offered and the power of the machine. The least expensive start out at £150, while the most powerful go easily above £1,000. Here is a simple guide to help you choose the right laptop for you. Each platform has its own strength and weakness, but it can be difficult to choose for those who are less familiar with different operating systems. Chrome OS. This is mostly found on cheaper and lighter laptops, including the HP Chromebook 14. It is the simplest as well as most secure platform available today, albeit a little limited as it remains mostly a browser with very little offline apps. If you are simply looking for a device to access the surf through websites, check email, chat, and access social networking, this would be an ideal choice. Windows 8.1. More affordable than Macs, this new OS is built to support a full-screen, touch-friendly experience. However, if you are more accustomed to the previous Windows interface, you can use the desktop mode as you prefer. Windows PCs offer more software choices than its Apple competitors. Apple OS X Yosemite. This would be the easy-to-navigate operating system found on Apple’s MacBook Airs and Pros. Although it is more limited with it comes to software customization and generally more expensive, it usually is accompanied by better industrial design. The size of your dream laptop will depend on the portability and usability you need. Laptops are divided by their display sizes. Smaller laptops are easier to move around because of the light weight, but difficult to use because of the cramped size and will usually be weaker in terms of processing power. The smaller screen will also provide less enjoyment if you are looking for visual entertainment. Although larger laptops can hold the power you need to play demanding games and maintain high, workstation-level productivity, they are power-hungry and cumbersome to carry around. The thinnest and lightest systems usually have 11 to 12 inch screens and weight around 2.5 to 3.5 pounds. The largest systems reside at 17 to 18 inches and weigh more than 7 pounds. Consider how often you will be using your laptop on-the-go and the amount of power you will need it to have. Make sure that you check the keyboard and touchpad to find one that best fits you. The keyboard should provide great tactile feedback without having keys being overly cramped. If you can try to check if the touchpad is easy and smooth to operate. Play around with the laptop you are interested in and read reviews to make sure that it has great ergonomics. 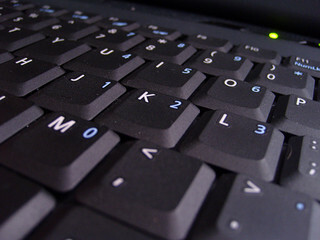 Apple and Lenovo are known for high performing keyboards and touchpads, with Dell and HP following close behind. The specifications of your laptop will determine what it can and cannot do. Make sure that you buy a laptop that is capable of handling the tasks you need well, and save money by avoiding laptops that provide more than you need. CPU. Cheaper choices cannot handle more serious productivity or media entertainment but are great for surfing the Internet. If performance is a consideration, at least have an Intel Core M for thinner systems and a Core i3 CPU / AMD A series for other mainstream laptops. High performance demands require at least a Core i7, preferably quad-core. RAM. Memory or RAM need at least 4GB, never less. Try to aim for at least 6 – 8 GB if you favor multitasking, and 16GB if you are a gamer or power user. Hard Drive. Try to purchase a faster drive rather than a large one. 320GB should be more than enough to last you, although larger ones should not cost much more. Solid State Drive (SSDs). Although these cost more than regular hard drives and provide less space, they can improve performance greatly. Display. If you have the option, always go for the highest resolution possible, after factoring in the other specifications, for sharper visuals. Graphics Chip. An integrated graphics chip will be suitable for most basic tasks. However, if you are a gamer, AMD or Nvidia processors will provide better performance for demanding games. A useful tool we’ve found is this laptop comparison chart which even though is slightly out of date, can still be helpful.